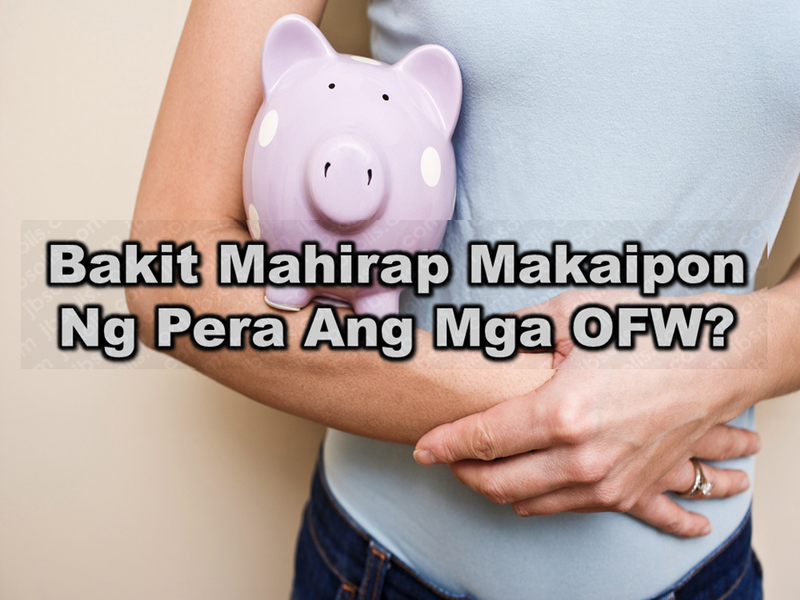 THOUGHTSKOTO Thoughtskoto : Why Saving Money Is Difficult For OFWs? Many Filipinos take chances of working abroad for bigger salary adding to the number of overseas Filipino workers (OFW) deployed around the globe. Converted to local currency, their salaries may look bigger but why there are so many OFWs who are going home still without savings after all the sacrifices and even doing side hustles aside from your regular job? There’s nothing wrong with buying something for your family. It won’t hurt if you send them a balikbayan box at least once a year. Sadly, one of the reasons why it is hard for OFWs to save money is because you might be spending too much on material things for your family. Even if you put a cap on remittance, you can’t help but buy yourself a new phone or even new clothes every week. You might even be spending too much on food you can’t even finish or choose to go for a more expensive form of transportation when there is a cheaper alternative. Remember that every centavo counts. Don’t waste it. Feeling responsible for all the expenses back home. Yes, you are earning in dollars (or any other currency). Still, does this mean you should be the one responsible for paying every expense back home, including the expenses of your extended family? Of course not! Feeling responsible for everything will make it hard for you to save money because you put the needs of others first instead of your family’s financial security. Teach your family to save and even encourage them to open a small business to avoid placing all of the burdens on your shoulders. You are creating a dependency mindset, which you will continuously carry with you every time you leave the country. There’s pressure to live up to the expectations of the people around you and your family. After all, OFWs are perceived to live the life, so you can’t help but show people that you and your family have come a long way – even if it means taking three or more jobs and not eating three times a day. If you do this, then don’t be surprised if you are still living paycheck to paycheck with little to zero savings. Living an extravagant lifestyle you can’t sustain will deplete the little savings you have – and you surely don’t want to be stuck in that situation. Do you have investments? If yes, then good for you since you are on the right financial track. If not, then what is your reason? Unfortunately, one of the reasons why OFWs are unable to grow their money is because they don’t understand how investment works. Still, this is not an excuse. You can always find information online and simplify how investment options work, thereby making it easier for people to understand. Take the risk, invest, and eventually grow your money for bigger savings. Lack of determination and commitment to save. There is a reason why the 52-week money challenge is popular. It makes savings easier and more convenient because you start with as low as P50 and by the end of the year, you can get a six-digit figure in your bank account. The question now is can you do it? One of the reasons why OFWs are unable to save big amount is because of lack of commitment to do so. Don’t be tempted to buy all the beautiful things because, at the end of the day, money spent is still money spent. Commit yourself to saving, no matter how small the amount is. It’s never too late to start over. You will not have your overseas job forever and you need to prepare should you need to come back home for good. Saving money for the future can save you and your family.